Facebook unfolds lots of opportunities for SMEs and startups. If done the right way, Facebook advertising can drive to many leads and new customers. However, getting your Facebook ads right is not as easy as it seems. Many businesses have spent thousands of dollars in Facebook ads without getting any return on investment. 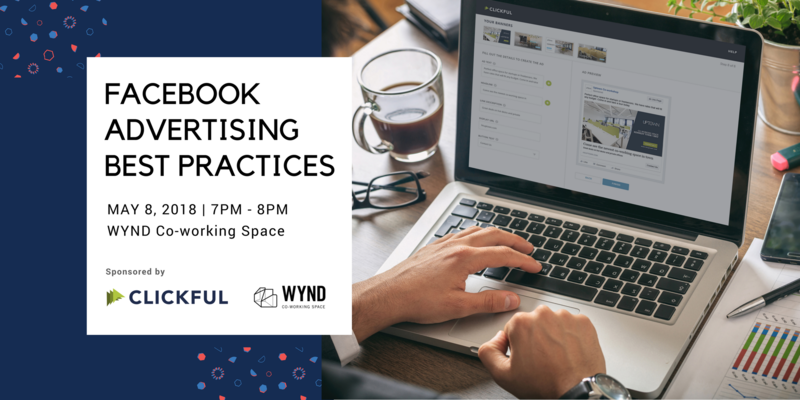 In collaboration with WYND, Clickful hosts this one-hour seminar to share actionable tips on how to improve your ads performance through a series of A/B testing. This is a crucial technique for any businesses that want to better target their message to their ideal customers, increase traffic and drive sales. Tips on A/B testing for your Facebook ads: The A/B testing know-how, elements you should test etc. *With the one-day pass, you can work at WYND Co-workshop for one day during office hour (9am-7pm Mon-Fri, except holidays). The day pass will be valid for 6 months from the date stated. Pre-booking is required and terms and conditions apply. Clickful is a one-stop platform to help you set up and manage your Facebook & Instagram ads, saving you hours of tedious and repetitive work in campaign management. The AI-powered platform also helps reallocate your budget to the best performing ads to save you money. Start your 30-day free trial today.